The lucky cricket meaning is wealth and good fortune. It is a symbol of auspicious possibilities that can come into your life. You want to take full advantage of this symbolism for feng shui luck. To fully appreciate the important role that crickets continue to play in the Chinese culture and feng shui, you need to step back into history. The lucky cricket history began around 500 BC when the cricket's song was first revered. The Chinese always exhibited an appreciation for singing insects and for some unknown reason, the cricket emerged above all others in popularity. Sometime during the Tang Dynasty (618 AD to 907 AD), the Chinese grew so appreciative of the cricket's singing, they built small cages to house them and suspended them from rafters and doorways as caged pets. 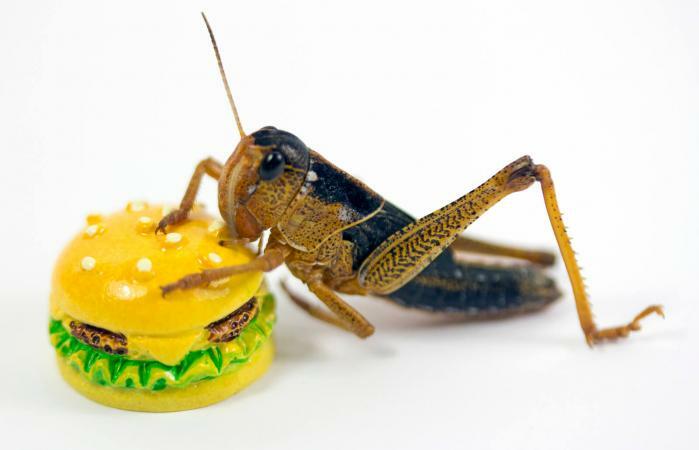 Some people used crickets as alarm systems to alert them to uninvited guests since crickets stop chirping when approached. The practice of cricket pets continues today. During the Song Dynasty (960 AD to 1278 AD) cricket fighting emerged as a highly popular sport. It was mostly confined to the ruling class as a game of the wealthy. However, the gambling aspect of the fights filtered down to the masses. Two male crickets are natural rivals and instinctively fight each other. They don't kill each other or draw blood, making for a more desirable fighting sport. Another accolade to the male cricket is its fierce warrior spirit and intelligence. The male cricket is the only one that can sing (rubbing its legs together to create the chirping sound). This further elevated prized fighters that could sing loudly. Eventually, cricket fighting was outlawed, but the games continued in secret. The laws were later lifted, and cricket fighting remains a popular sport. The presence of crickets within the Chinese culture was so prominent that songs and poems were written about crickets. Farmers relied upon the first cricket chirps in the Spring as a signal to plant the fields. The cricket's ability to produce 100 to 200 eggs during its short three-month lifespan inspired the Chinese to have large families. It was commonly believed that having a lot of children would ensure an abundant and successful life. Once you understand how significant a role the cricket has historically played in the Chinese culture, it's easy to recognize why it is considered a lucky symbol. It is also a symbol of prosperity, wealth and abundance. The feng shui meaning for the lucky cricket begins with the cricket wandering into your home. This is a symbolism for good fortune venturing into your life. The appearance of a cricket in your home is often considered prophetic. It symbolizes someone is coming to pay you an unexpected visit to grant a wish or bestow you with good fortune. This surprise visit and its subsequent wish granting make the cricket a very auspicious and desirable interloper. Should you find a dead cricket, remove it immediately from your house since it is very inauspicious. After all, you don't want your luck dying on you! You don't want crickets in your attic or basement since the attic space represents the future, and the basement represents the past. A cricket's luck is better spent in your current living space - the present. It is bad luck to kill a cricket. If you don't want it in your home, gently remove it and place it back outside. The lucky cricket meaning and symbolism can be used in your home to invite good fortune into your life. If you aren't into cricket pets in tiny cages, you can opt for representations and depictions, such as figurines or paintings. Crickets are drawn to warm areas, such as fireplaces and stoves. One of the best placements for a cricket is the fireplace hearth. 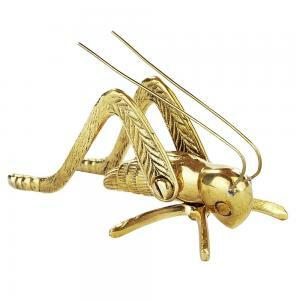 Set a gold cricket figurine on the hearth or fireplace mantel. The kitchen is considered an auspicious placement for a cricket symbol. You may prefer to hang a painting of a cricket on the kitchen wall. Place a cricket in the southeast sector (wealth) to attract greater wealth and abundance. A cricket placed in the southwest sector of your home or southwest corner in the master bedroom will attract love and romance. The cricket is an intricate part of the Chinese culture and subsequently feng shui applications. You can use it to attract wealth, prosperity and abundance into your life.